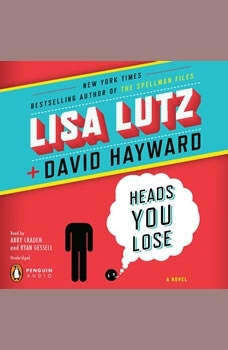 New York Times-bestselling author Lisa Lutz conspires with-or should we say against?-coauthor David Hayward to write an original and hilarious tag-team crime novel. Meet Paul and Lacey Hansen: orphaned, pot-growing twentysomething siblings eking out a living in rural Northern California. When a headless corpse appears on their property, they can't exactly dial 911, so they move the body and wait for the police to find it. Instead, the corpse reappears, a few days riper . . . and an amateur sleuth is born. Make that two.